The successful Japanese Navy attack on Pearl Harbor and the air bases on Oahu did more than gut America’s military might in the Pacific. Historian Forrest Pogue, in his book At Dawn We Slept, wrote, “The American people reeled with a mind-staggering mixture of surprise, awe, mystification, grief, humiliation, and, above all, cataclysmic fury.” The enormity of the Japanese success also caused many Americans to question how their own leaders could have been caught so short. Many people came to the conclusion that somehow, somewhere there must have been a villain within – an individual or a group who had either failed or who had deliberately aided and abetted in the attack. An inquiry conducted by Secretary of the Navy Frank Knox was authorized on the afternoon of December 7. A second and more formal Roberts Commission commenced ten days later. Ultimately ten official inquiries were conducted, the last occurring on April 1995 – fifty-four years after the event! Instead of settling matters, each inquiry’s findings only aroused new suspicions about a massive government cover-up. And there was no more fertile ground for conspiracy theorists than the surprise attack on Pearl Harbor. 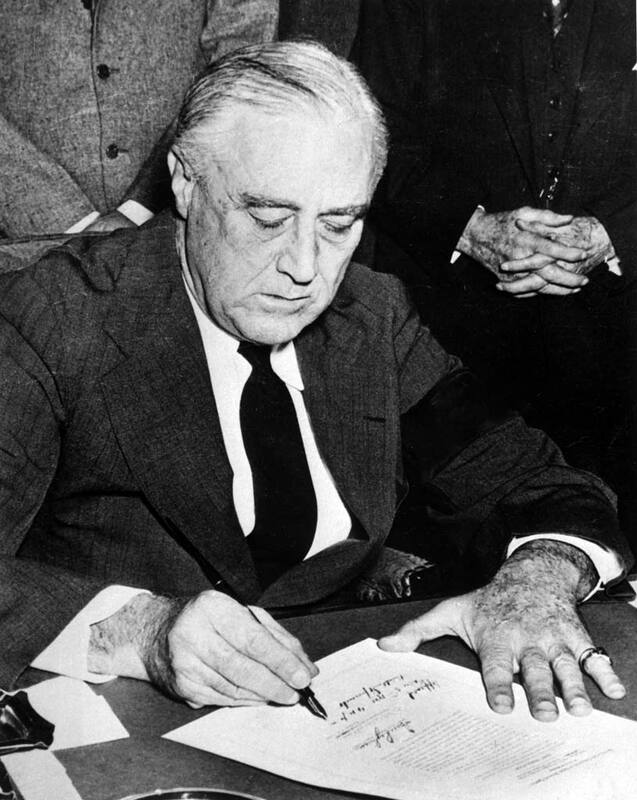 Given the humiliating enormity of the Japanese victory at Pearl Harbor, it became easy for administration foes of all stripes to believe that the sacrifice of more than 3,000 lives was the culmination of an elaborate and callous effort by President Franklin Roosevelt to bring America into the war on the side of Great Britain. There is a wealth of damning, if circumstantial, evidence. But the culpability claims, particularly of the sort made by Toland, have all been made after the fact. A review of all the conspiracy theorist charges either ignore or downplay one overriding truth: when the bombs and torpedoes started dropping, we were a nation at peace and mentally unprepared for war. Coupled with that was the belief that Pearl Harbor was too strong and too remote to be attacked. In truth, the Imperial Japanese Navy had a wealth of targets closer to home available to them: the Philippines, Hong Kong, Singapore, the Dutch East Indies, Wake Island, even Alaska. Of all the likely targets, Pearl Harbor was regarded as the lowest on the threat board. And, it’s overlooked that war warnings had periodically been issued to Pearl Harbor and that repeated air patrols searching for the enemy had been made, all of which turned up nothing; thus contributing to a “false alarm” complacency. Perhaps the best comparison to the perniciousness of such a disbelief – an “it can’t happen here” attitude – is 9/11. Post-mortem, there was a wealth of information, starting with the truck bomb attack on the World Trade Center in 1993. This and other subsequent incidents, attacks on U.S. embassies in Kenya and the attack on the USS Cole, as well as growing dossiers on al Qaeda and other terrorist organizations, should – in retrospect – have put United States officials on a heightened threat alert status. But, prior to 9/11, there was a universal belief that “terrorist attacks don’t happen here” so strong that not even that 1993 terrorist attack on the World Trade Center or the 1995 Timothy McVeigh Oklahoma City bombing could shake it. Then 9/11 happened. And the post-attack review of information revealed what amounted to a straight line of incidents and events leading up to the attack. 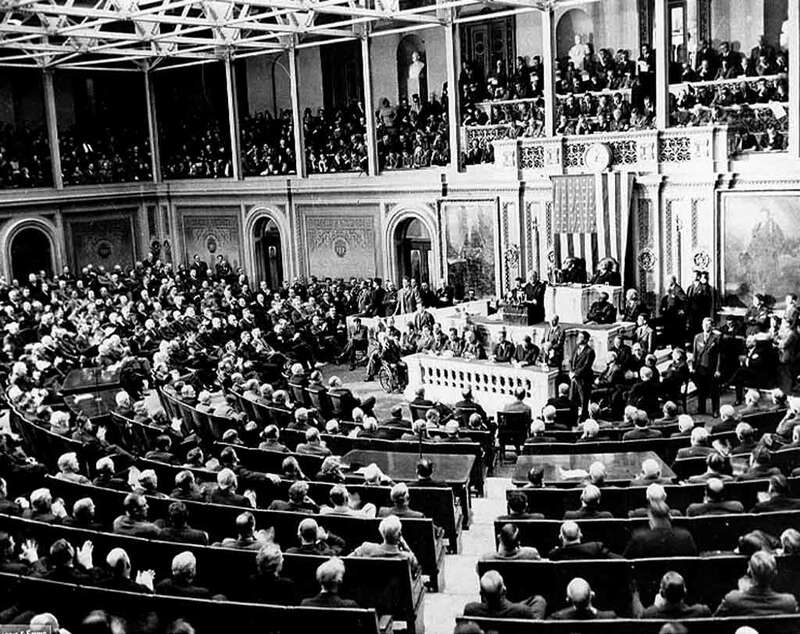 At this stage, with all the principals long since dead, any attempt to solve the mystery of American military and government culpability for the Pearl Harbor attack, if indeed a mystery exists, is a matter for historians who may one day find in some musty corner a box containing such information. But, because Franklin Roosevelt refused to allow notes to be taken at meetings, the likelihood of anyone finding a “smoking gun” document from him on the matter is essentially nil. Another poignant history lesson by Dwight Zimmerman and a reminder of why we study history–so as not to make the same mistakes of the past. Unfortunately, we don’t study it long and deep enough. I think that’s an important lesson, but I also think that Pearl Harbor and 9/11 teach an additional lesson about Americans and possibly humans in general. I personally don’t believe in any of the conspiracy theories surrounding Pearl Harbor or 9/11. I may be a Polyanna, but I can’t make myself believe that a president would willingly allow or condone the slaughter of several thousand Americans in order to have an excuse for war. And I also think the fact that a significant, if small, percentage of Americans believe each event was orchestrated by forces within also shows that they don’t want to believe that we can, in fact, get caught with our pants down, that we can, in fact, be incompetent or arrogant or willfully ignorant enough to suffer such a failure of imagination that we are caught out, with dire consequences. Among the many problems with conspiracy theories are that they trust in the genius and competence of the conspirators and the absolute silence of a great many people, rather than the possibility of arrogance, incompetence, failures to communicate, internal rivalries, etc. Did Roosevelt believe we should be fighting the war? Absolutely. Did he think war was coming? No doubt. Did he deliberately and with full knowledge leave the Japanese an open door to make a surprise attack on Pearl Harbor? Doubt it very strongly, and haven’t read anything in a rash of books published over the past two decades that has changed my mind. This is so historically flawed. Firstly, many of these places WERE attacked simultaneously (the same day or the day after Pearl Harbor), notably the Philippines, Malaya, and Hong Kong. Secondly, the Japanese strategic thinking WAS to take the Dutch East Indies, but they knew they could not do this without first neutralizing the American Pacific fleet, which was redeployed to Hawaii in what some would argue an effort to provoke the Japanese. Thirdly, your point of it not being “close” to home is quite irrelevant, as it was within the limits of the Japanese supply range, which is why the fleet could afford to stay for many hours and launch 2 waves of attack, and they contemplated a third. I don’t think you’re reading the paragraph the way it was written. The statement “…Pearl Harbor was regarded as the lowest on the threat board” is quite historically accurate. Scores of books and reams of Congressional testimony attest to this fact. The U.S. suffered a failure of imagination in that few seemed to REGARD a Japanese attack on Pearl Harbor as a likelihood or even a possibility. They REGARDED other targets as being much more likely because of their closer proximity to Japan. Many of these places, such as the Philippines, WERE attacked, as you point out. Japanese strategic thinking WAS to strike for the resources of the Dutch East Indies, as you point out. But what you are missing are the points made in the article that the United States suffered a failure of imagination, and found it impossible to believe the Japanese would attack Pearl, despite attacks being carried out on the islands by aircraft during pre-war fleet exercises. The U.S. also failed to see that the Japanese would want to eliminate the U.S. Pacific Fleet, and also failed to understand the lessons of Taranto. Finally, Nagumo found Pearl Harbor’s distance from Japan to be very relevant. One of the reasons for not launching a third wave was the fear of fuel shortage for his escorts, and the possibility of having to leave some behind if he did not quickly turn for home. Indeed, the alternative history scenarios where Japan lands troops and occupies Hawaii fail to take into account the massive difficulties there would have been in supplying even a token occupation force. A naval fleet’s endurance within range of a target measured in mere hours cannot be considered within the limits of logistics. Had Kido Butai been within the limits of effective logistics, the task force could have stayed within striking range indefinitely. That was patently not the case, not just because Nagumo was afraid to risk his carriers, but because the task force was stretched to the limit to make the attacks it had already carried out. This is the 4th posting, of urs I personally went through. Conspiracy Theories Live On | Defense Media Network” the best.